President Cyril Ramaphosa’s plan to split the state-owned power utility into generation, distribution and transmission divisions will take longer than the government has to revive the business, according to Goldman Sachs. Eskom is focusing on trying to avoid implementing power cuts through the year, as it attempts to fix ageing power plants and defective new units. Ramaphosa has rolled out a R69 billion bailout for Eskom over the next three years and a plan to split the business into three. “We have a crisis that cannot wait three or four years of market restructuring,” he said in a report by FTI Consulting titled ‘The Future of South Africa’. Goldman in 2015 informally advised Treasury on the sale of state assets to raise money for Eskom when its debt, which has grown to more than R419bn, was only about half that amount, a person with knowledge of the matter said at the time. Ramaphosa first announced the unbundling of Eskom during his State of the Nation address in February in a move that was widely criticised by unions. The debt-laden power utility has long been plagued by ageing power plants, insufficient maintenance and allegations of state capture. The power supply was so critical following the impact of Cylone Idai in Mozambique, that Eskom was forced to implement several days of Stage 4 load shedding. 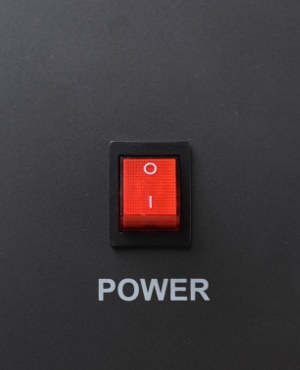 At a follow up briefing earlier this month, Public Enterprises Minister Pravin Gordhan announced that following a technical review of the utility's power plants, should load shedding be implemented again, it would likely only be at Stage 1 - at least until August. Late on Thursday, Eskom announced there was a high risk of Stage 1 load shedding.